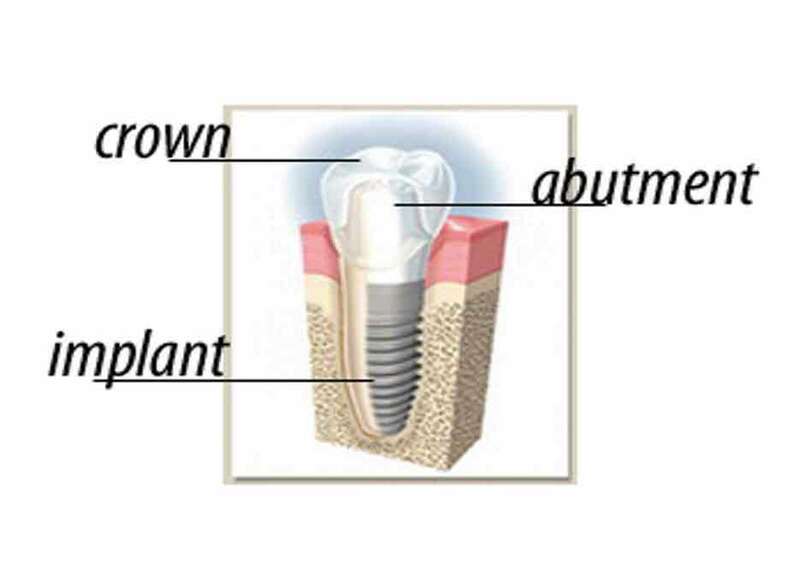 A traditional dental implant is an option to replace a missing tooth. In this procedure, a small titanium shaft is surgically implanted into the bone and allowed to set. The bone grows around it forming a tight connection, which additionally slows or stops the bone loss that occurs when the root of a natural tooth is missing. Once the implant is firmly set in the mouth, the dentist then works to attach the replacement tooth onto the top of the shaft. This permanent solution has the advantages over bridge work that it does not stress the surrounding teeth for support, and, should the tooth wear out, another can simply be replaced on the shaft. Dental treatments for the condition can include replacing missing teeth, moving teeth, adjusting the bite, filling gaps between teeth, nightguard, etc. There is no one solution that is right for all cases. Sometimes a plastic mouthpiece (nightguard) is used to prevent clenching or grinding that is contributing to the problem. If untreated and taken to extremes, surgery may be required to repair a badly damaged joint. Nitrous oxide (often referred to as laughing gas) is one of several Sedation Dentristry options available to reduce your fears and discomfort. Nitrous is best suited for cases of mild to moderate anxiety and is the most frequently used sedation method. Under nitrous you remain conscious and able to breath on your own, with a sense of total well-being (euphoria). However, many insurance companies do not cover this procedure, but here at our office nitrous is priced affordable to fit most any budget!